Michelle is a volunteer at the Habitat for Humanity HabiStore, and has been volunteering since mid 2017. She had found her first volunteer opportunity at a different organization to be a negative experience, but quickly found a home within the HabiStore community when she started. Michelle has found that Habitat offers the atmosphere that makes volunteer work she does feel valuable, “People I’ve met at Habitat have generally stayed, they are all friendly and work together really well and I think a lot of that is because of how long people stay on; everyone is really connected”. At the HabiStore she volunteers on the sale floor, helping customers and directing them to any products they may need, and helps with answering phones for inquiring customers and donators alike. In her personal life, Michelle enjoys indulging in a bit of art, especially in the form of coloring. She can often be found with a pile of paper, pens, pencils, and markers. During her break time, or off time between calls, Michelle is typically working away at her latest piece. 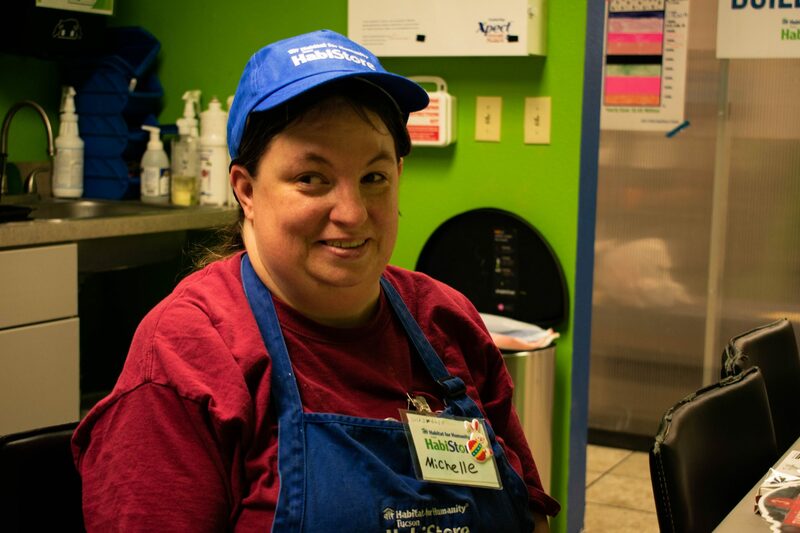 Michelle has a personal conviction to help those around her who are in need, and feels that the HabiStore helps her fulfill that duty, “When volunteering I’m always learning how to cooperate with people, and there is an environment at the HabiStore that really allows you to learn how to do that effectively”. She also believes that the goal of Habitat for Humanity aligns with her views as well, “Habitat helps people and helps out people who really need it. They have a program for veterans and building houses for the impoverished”. 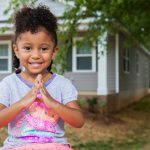 Habitat has the ‘Sweat Equity’ initiative that ensures the houses are not a handout, but a hand up. The atmosphere that HabiStore creates is something that Michelle appreciates a lot. All of the employees and volunteers at the HabiStore all know each other and are friendly and inviting. Michelle believes that sentiment has even rubbed off on her a bit, “Habitat has made me friendlier and allows me to feel more open and get out of my shell. It is a place that makes me feel more comfortable”. Michelle not only likes Habitat as an organization but enjoys the individuals she works with on a daily basis. Michelle says that many of Habitat’s opportunities line up with her own beliefs in hard work, “Habitat has the ‘Sweat Equity’ initiative that ensures the houses are not a handout, but a hand up. People who get the houses from Habitat work for them through volunteer hours and home ownership classes and I think that’s really cool”. Michelle supports the idea as an opportunity for Habitat homeowners to know that they have a new home but also realize that they have accomplished the work to get it themselves, “At Habitat I get to see hardworking people, some of whom have been through the ‘Sweat Equity’ program and that inspires me to continue providing a strong work ethic in my own life”. 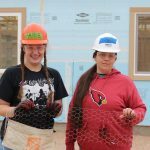 The Habitat HabiStore keeps nearly 600 tons of materials out of landfills in Tucson and gives the opportunity for the community to find affordable home improvement supplies. The HabiStore is able to operate thanks to local donors who give their old furniture, home decor, appliances and building materials new life at the HabiStore. If you have an item to donate a list is available that states what the HabiStore accepts for donation. If you would like to drop off your item, the HabiStore is open Monday through Saturday 9 am to 5 pm, as well as Sunday from 12 pm – 4 pm, at 935 W Grant Rd. Tucson, Arizona. 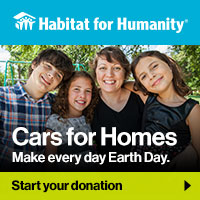 For large items that won’t fit in your car, please call the donation hotline 520-230-5323 to schedule a time. Make sure to follow HabiStore on Pinterest and Twitter and Habitat Tucson on Instagram to keep up with the latest news! Looking to Volunteer at the Habistore? Or sign up for an orientation online.